Want the kit instead? 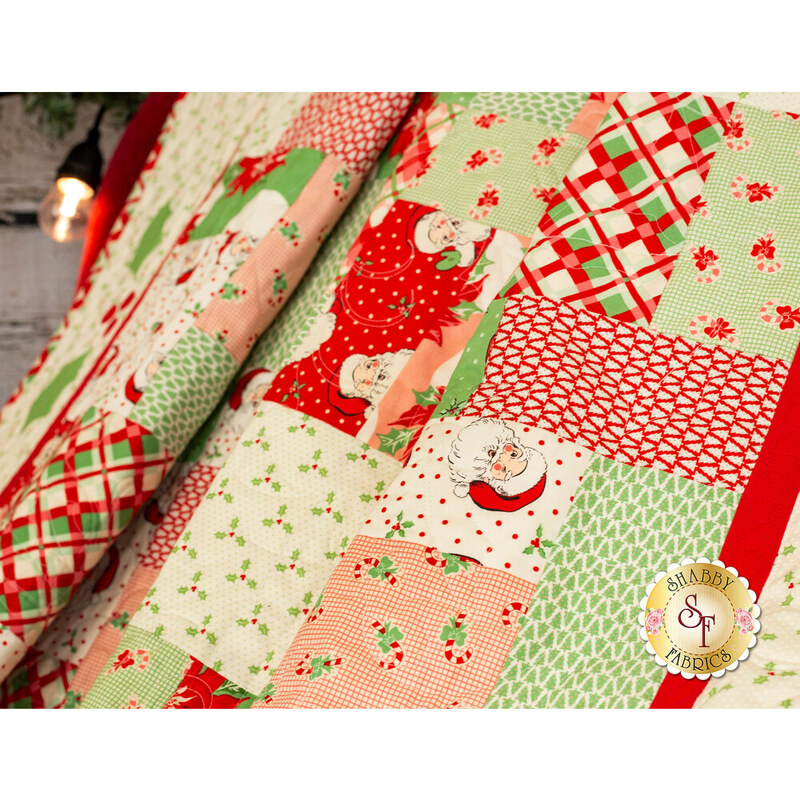 Retro Christmas Quilt Kits are available! 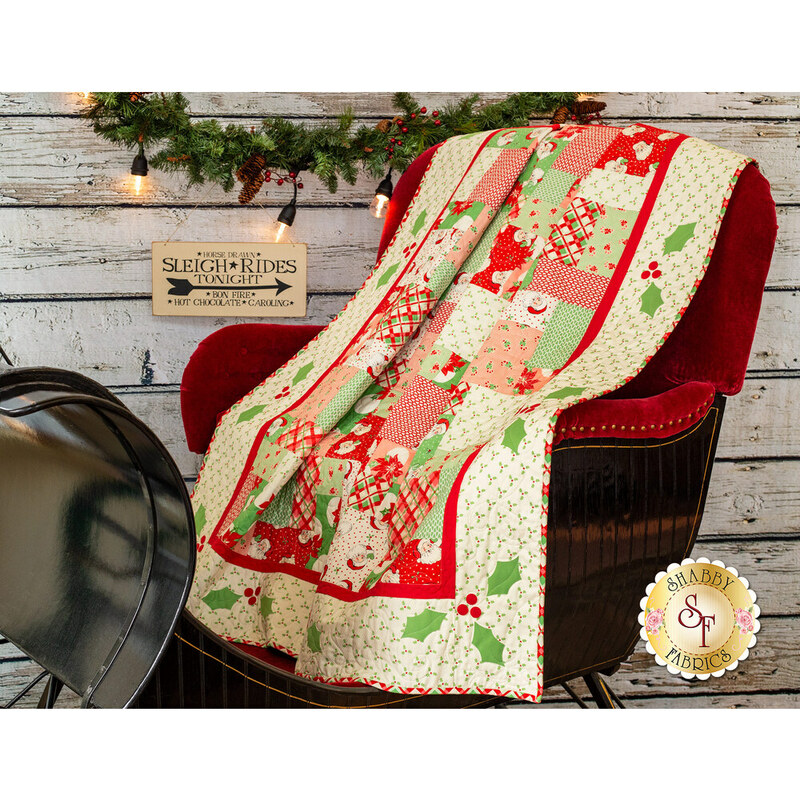 Bring back this vintage look into your home as you celebrate the season with your loved ones! 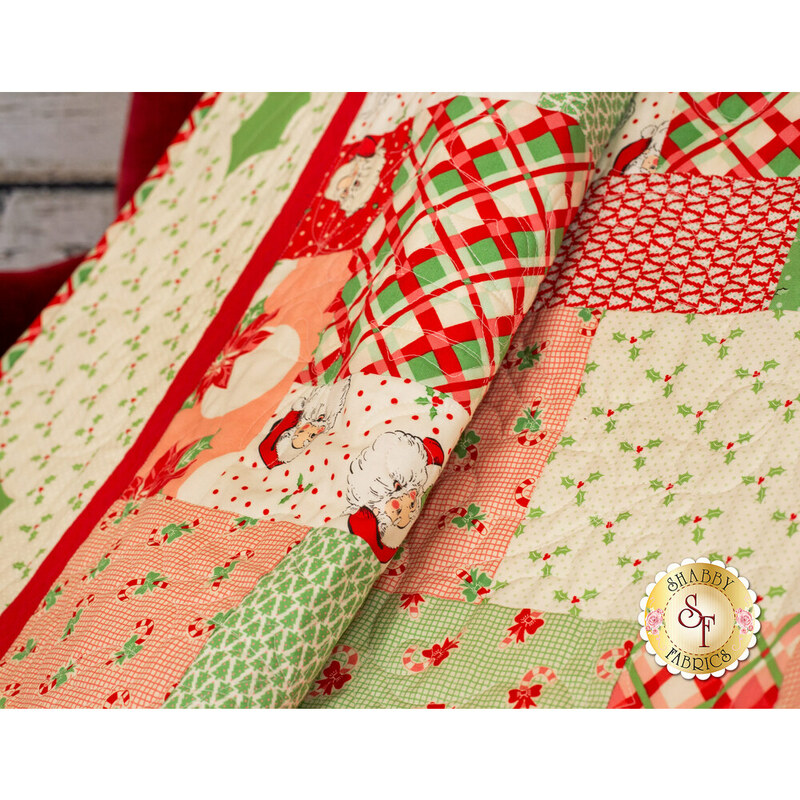 This quilt perfectly captures the color, design, and feeling of Christmas in the 1950's, featuring rosy Santa faces and appliqué holly and berries on the border! Quilt finishes to approximately 59½" x 77½".